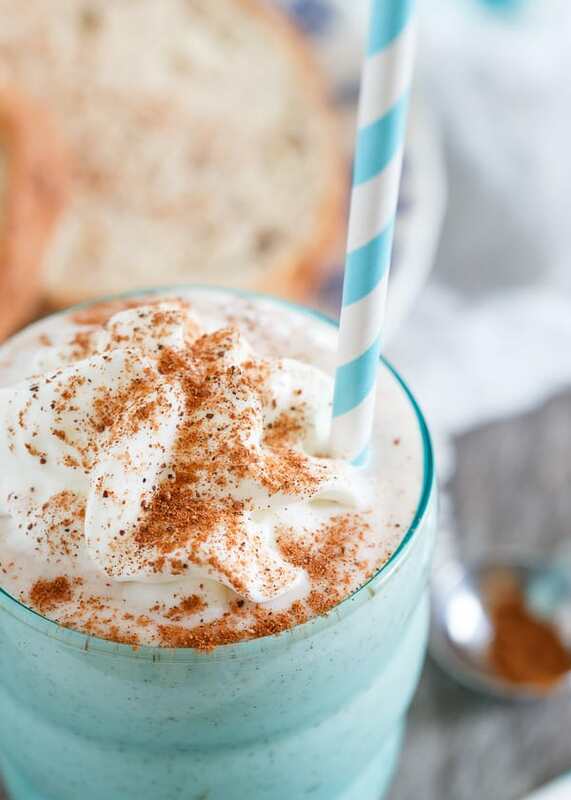 This French toast smoothie is a healthy, high protein packed drink that tastes just like the decadent buttery cinnamon breakfast you love. creamy delicious oats (like this triple chocolate steel cut oatmeal or this slow cooker chocolate cherry steel cut oatmeal) steel cut or regular, my brain doesn’t discriminate. French toast. Remember last year’s raspberry granola french toast…omg, so much yum. I find it weird though that French toast is last on that list. How and why oatmeal can surpass French toast in my brain makes no sense to me when I sit down and think about it. Buttery, soft, cinnamon studded French toast (usually topped with whipped cream and berries) has no place being 5th in any breakfast list. However, being that it’s the first full week in January and most of you probably wouldn’t appreciate me pushing a decadent French toast recipe on you while you’re in the “healthy” mindset, I’m bottling up everything we love about French toast and putting it into a protein packed healthy smoothie. Date sweetened and filled with spices and extracts, every sip is literally like biting into a plate of warm French toast for breakfast. The secret in this protein packed smoothie? I’ve been loving on cottage cheese lately being in the final few days of my diet cut before heading to Mexico this weekend, it is high protein (15g in just 1/2 a cup! ), low fat and incredibly filling (I find it more so than yogurt). 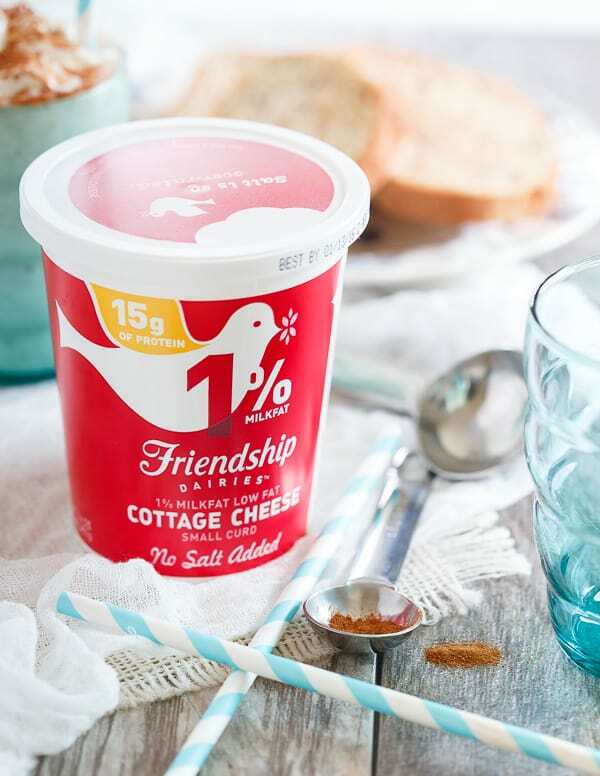 Friendship Dairies created The Superfood Generator as a fun way to create your own superfood cottage cheese based concoction. The possibilities are seriously endless from fruits, to nuts, to seeds, to greens, herbs and sweeteners but sometimes you can’t go wrong with simple. Especially when it comes in the form of French toast. 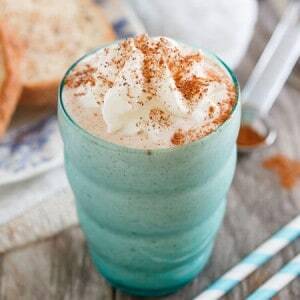 Love this French Toast Smoothie recipe? Try these other smoothie recipes: Roasted Apricot Green Smoothie, Layered Strawberry Ginger Peach Smoothie, and Wild Blueberry Beet Smoothie. *This post is sponsored by Friendship Dairies. All content and opinions are my own. So much yum is right! I have never added cottage cheese to a smoothie but I love all of the flavors here and definitely need to try this soon! That dollop of whipped cream on top makes this even better! I love a breakfast smoothie like this. It totally makes my morning feel special and energizing. This sounds so good! 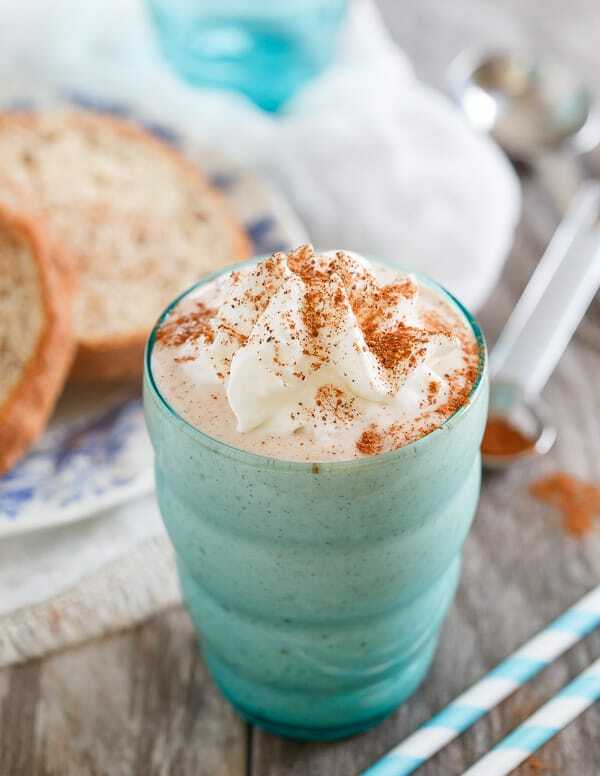 I never would have thought to put cottage cheese in a smoothie, but I totally need to try this! Between the dates for sweetening and the cottage cheese for protein, this is pretty awesome way to start the day! 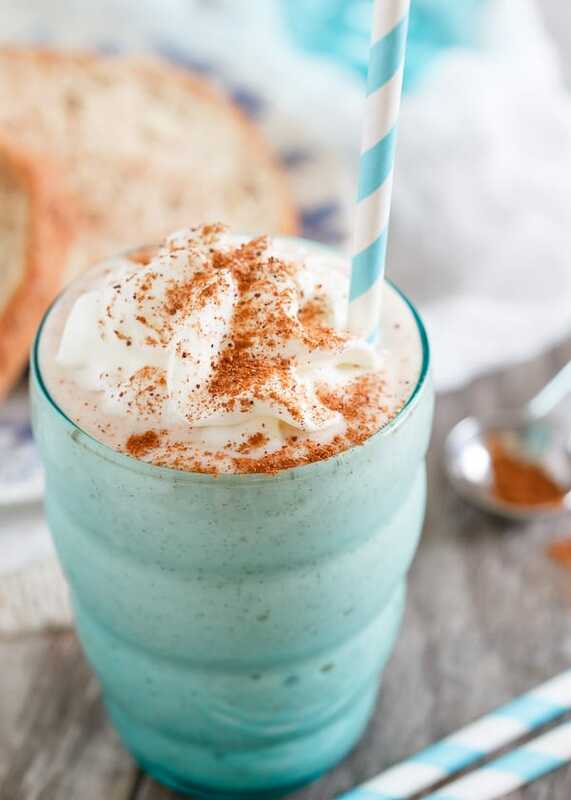 I’m a waffle lover too but french toast is a close second….this smoothie will definitely save the day! This sounds perfect! I love that you used cottage cheese for protein! Ooo I didn’t know you could use xatham gum to thicken!! Smart tip!! Have fun in Mexico!!! This is genius! I love this sip-able version of classic French toast. Pinned. I so love this – the perfect breakfast! I LOVE sneaking in cottage cheese where ever I can and while you can usually find me using it as my favorite snack with potato chips, I’m going to have to give this a go! You have completely outdone yourself with this smoothie!! Absolutely brilliant! I can’t wait to make this. Your pictures are gorgeous too. I love cottage cheese used in unconventional ways. When I was cutting for figure shows I would have a protein peanut butter ice cream at night that was cottage cheese, protein powder, vanilla, peanut butter, splash of almond milk and ice. Blend. Freeze until slushy. SO GOOD. I also make my kids protein smoothies for school breakfasts since its faster than a sit down meal. I will make this for them tomorrow!! I could sip this all day long, with a big smile on my face while I did so. This is a genius idea. I can’t wait to try it. This sounds AMAZING!!! Can’t wait to try this! And the Kodiak Cakes – got that mix yesterday and I completely agree! Love them!